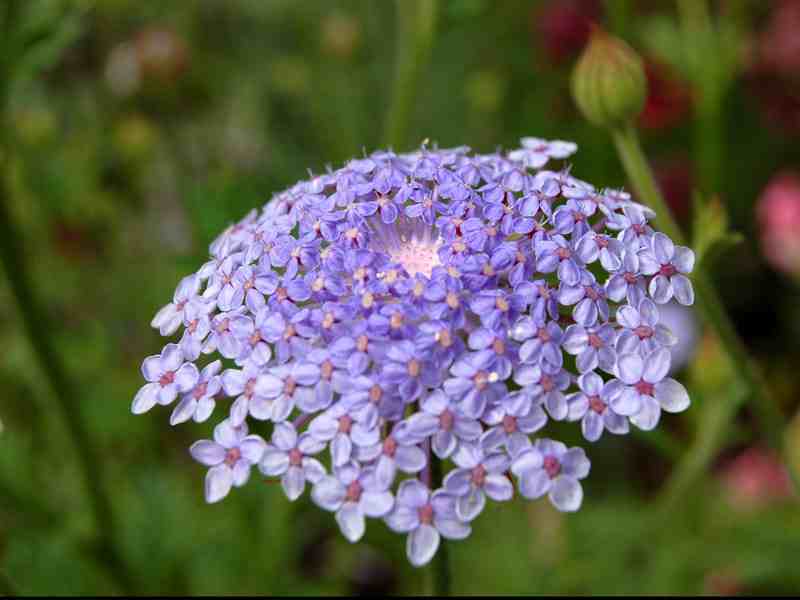 Didiscus caerulea From Seed. Blue Lace Flower. I grew these Didiscus in my ‘Bucket Garden’…’ansome they are too. Higgledy Flower School 2016. #14. Didiscus caerulea. 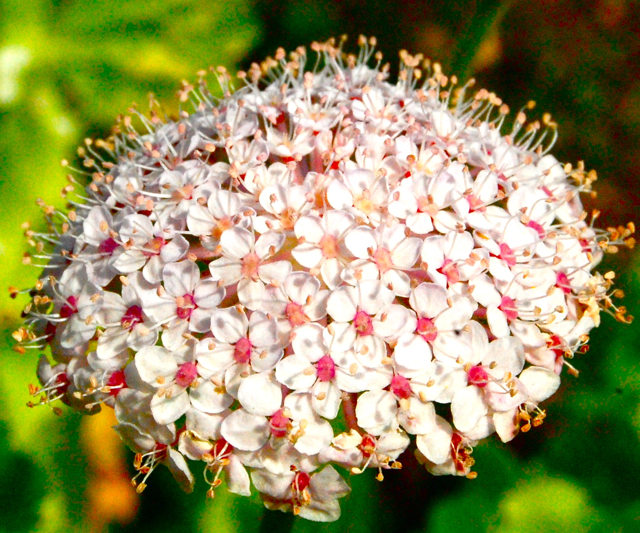 Didiscus isn’t widely grown…in fact it’s not easy to find very much information on it…in my modest library I can only find two mentions of it…and on the internet I can only seem to find articles written by myself! 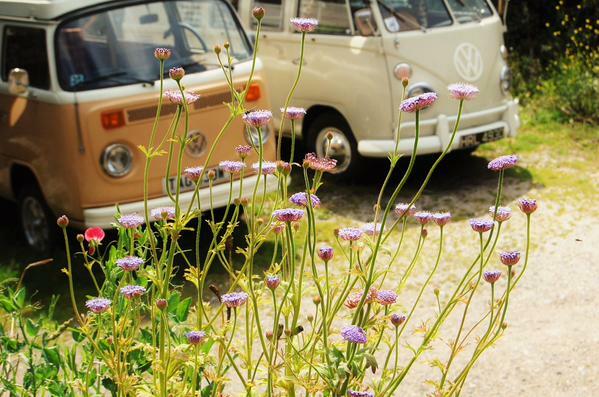 However, let this not detract from the fact that Didiscus is a simple to grow, beautiful annual. I grow ‘Madonna and Lacy Mix’ this is a great mix as you will be growing the splendid blue flowers and also the incredibly beautiful cream ones (but not the trashy Barbie doll pink ones)…you’ll get 100ish seeds in a packet for £1.95. For the cut flower garden these flowers are a true gem….I use them in loose arrangements with other country style flowers such as Scabiosa, Cornflowers and Corncockles…and something citrus green to cool it down…Dill ‘Mammoth’ or Nicotiana ‘Lime Green’ will do the job rather well. Also adding something with some height improves your chances of impressing the vicar…Godetia ‘Crown’ works in this regard. Top Tips or Growing Didiscus From Seed. *Sow into modules or pots using a light soil or some good quality compost…or a mixture of both. I find 3 inch square pots are ideal and use them for most of my undercover sowing. *Keep your Didiscus seeds damp whilst they are getting jiggy with the germination thing…usually this will take about three weeks…this year they took much longer however…fickle critters. *Germination can be erratic…so I tend to sow three or four seeds into each pot. Bare in mind you will only need nine plants per square meter. *Link: How To Prepare Beds For A Cutting Garden. *Don’t plant out your Didiscus seedlings until all threat of frost has gone…probably towards the end of May. *I plant out a foot apart…but you could go a little less if the mood takes you. *Plants can get to two foot and sometimes will be grateful for a little support if your plot is exposed…a few twigs spiked in the ground is usually enough. 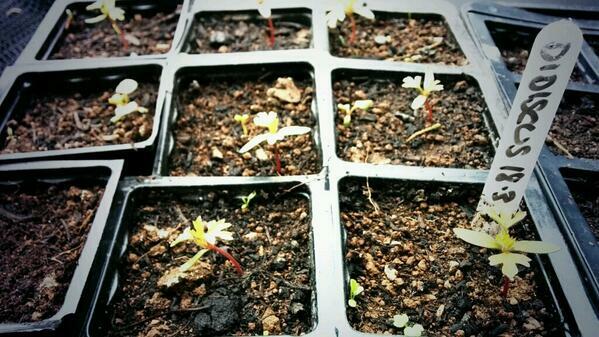 6 week old Didiscus seedlings. *(This is a little geeky…) Didiscus flowers are what we call Ethylene sensitive…ethylene is produced from leaves that are below the water line in a vase…it is a by-product of the decomposition process and will make flowers fade more quickly…so remove leaves that would otherwise be under water….this is a good practice with all arrangements. As with all flowers…changing the water everyday will SUBSTANTIALLY prolong the life of your flowers…yes…I know it’s a faff…but just do it and stop moaning. Mina Lobata (Spanish Flag)	Nigella. Love in a mist. Lust in the dust.